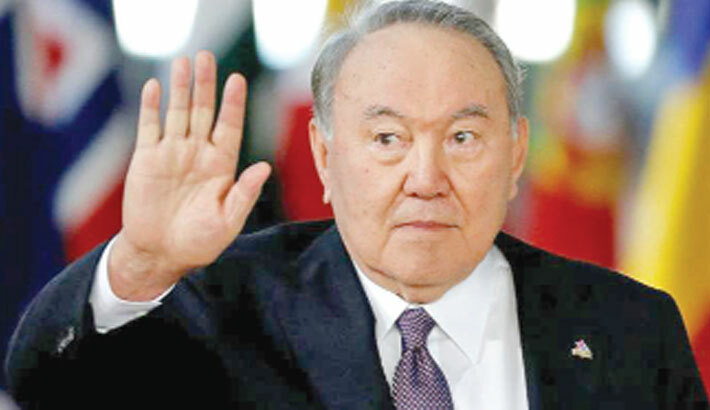 ALMATY: Kazakhstan renamed its capital Astana as Nur-Sultan on Saturday in honor of veteran leader Nursultan Nazarbayev, who unexpectedly resigned this week after almost 30 years in power, reports Reuters. It is the fourth time the city’s name has been changed within six decades, and some residents and opposition figures have protested against the latest renaming, which was made official on Saturday in a decree signed by interim President Kassym-Jomart Tokayev. The windswept city of one million people, where temperatures range from -40 degrees Celsius in winter to more than 40C during the summer, was previously called Akmolinsk, Tselinograd and Akmola before becoming Astana, meaning “capital”, after Nazarbayev moved the nation’s capital there from Almaty in 1997.